Tour de Sweet: CakeSpy Comes to LA! Oh, pardon me while I crank up the volume on Randy Newman's "I Love LA"--because that's where my book tour is taking me in just a few short days! That's right. My Tour de Sweet 2011 is coming to an end in sunny, glamorous LA (you may remember the last time I was there, for the Emmy Awards?). I'll be having cake-eating meetups at the following bakeries. Expect low-key, cake and fun (and pun) filled times. You can bring your book, or I will have copies on hand to sell you (I prefer cash but can take visa and mastercard or check too!). I'll even bring some robot-cupcake-unicorn socks to raffle off (and some cards to sell!). 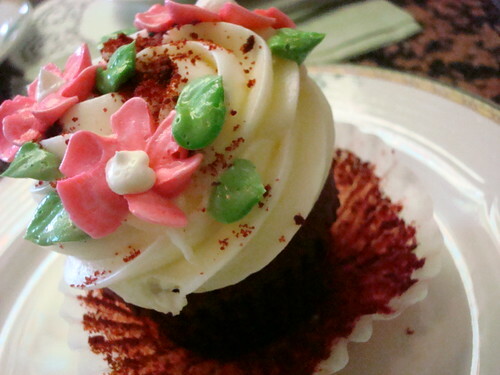 At Yummy Cupcakes, I have even offered to do portraits of your favorite dessert in your copy of the book! I will draw your power pastry for you! Come on down! I don't know a ton of people in Los Angeles (even though LA Weekly loves me) so please come--I promise, I am totally fun to eat cake with!